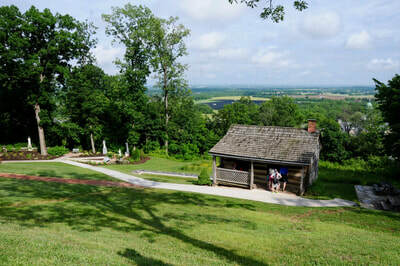 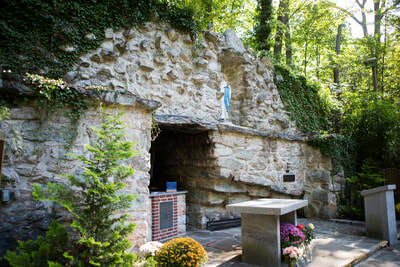 ​We welcome you to visit this beautiful national shrine and garden in honor of Our Lady of Lourdes. 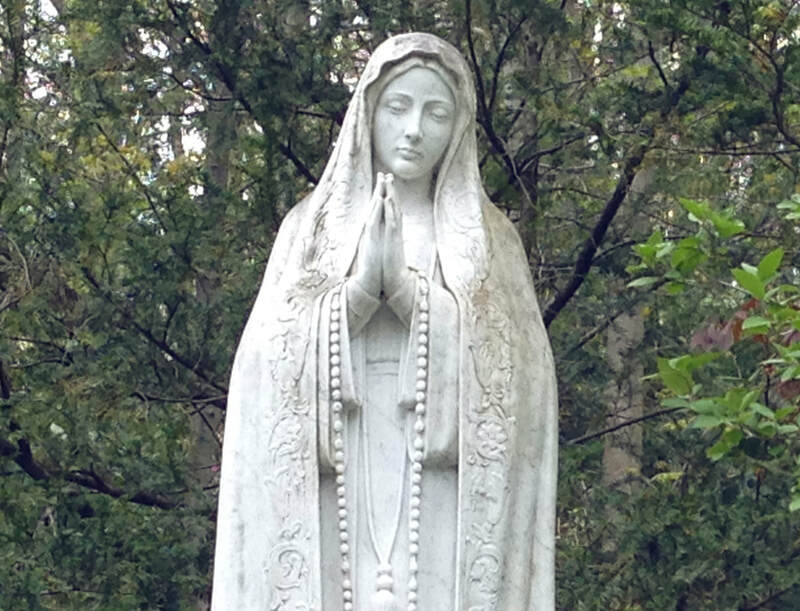 During your visit, may the Blessed Virgin Mary, who brought us to Jesus Christ, bring you peace and lead you to deeper holiness just as she has done for so many visitors to these holy grounds for many years. 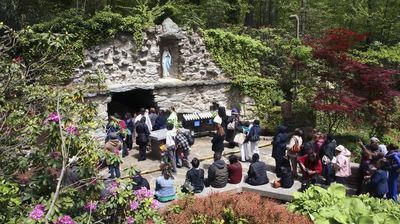 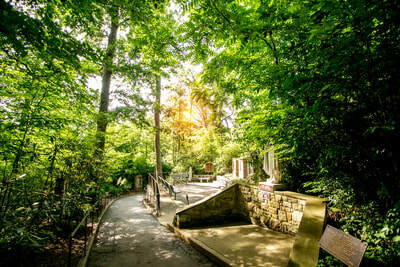 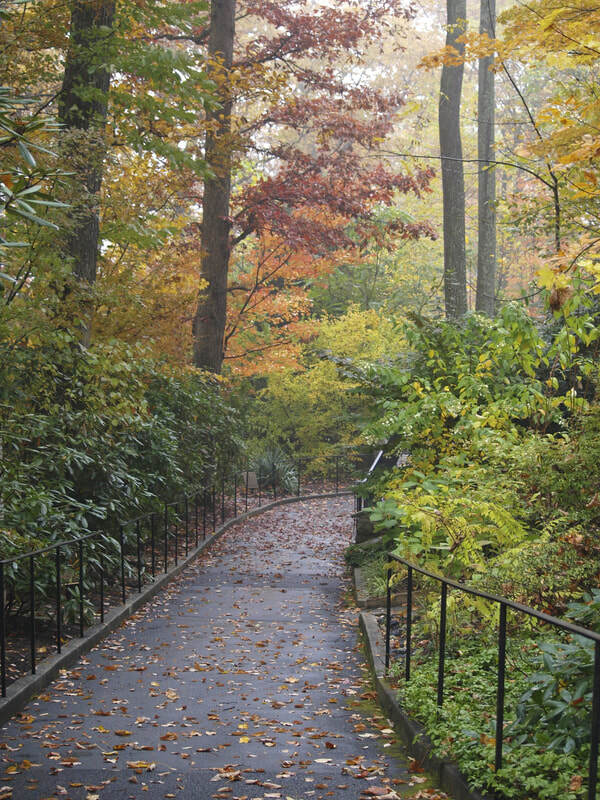 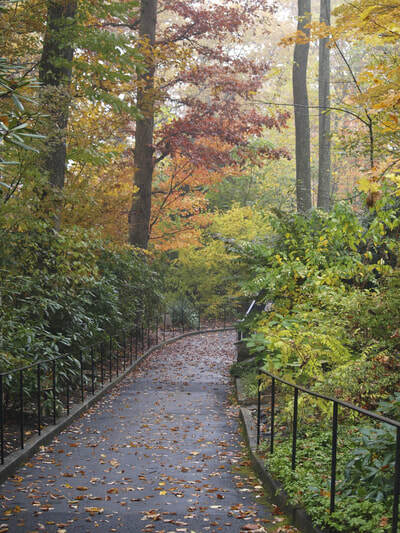 The road to the National Shrine Grotto goes up the mountain through beautiful forest, but well-signed. There is a large parking lot at the main entrance. Limited handicapped parking is available and the staff will come to your car and drive you to parts of the national shrine in a golf cart. 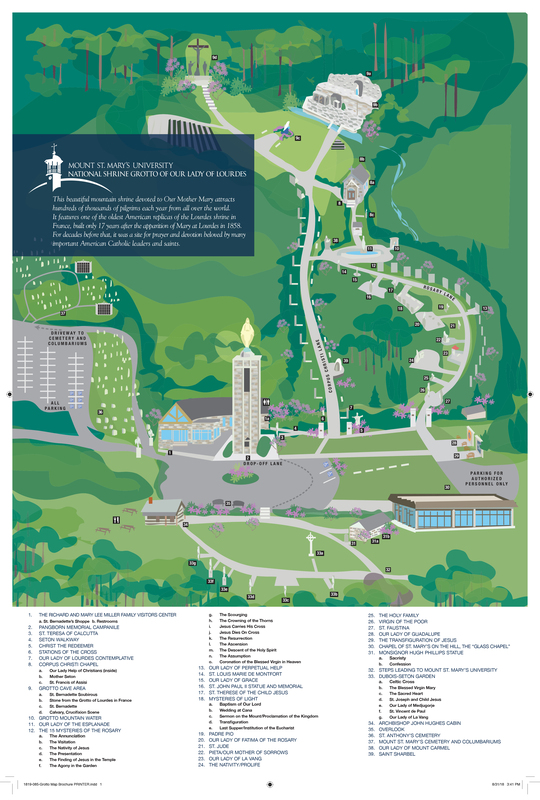 The first thing pilgrims see as they drive up to the parking lot is the Pangborn Memorial Campanile, a 95-foot tower topped with a gold-leafed bronze statue of the Blessed Mother. The tower is in front of the Richard and Mary Lee Miller Family Visitors Center, which includes restrooms and a St. Bernadette's Gift Shoppe. 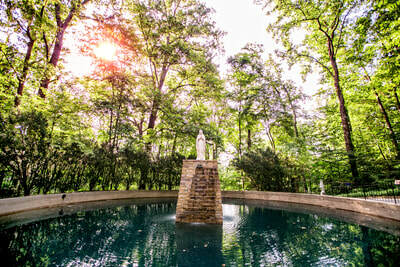 After exiting the visitors center, you'll see the Mother Teresa Garden and the Seton Walkway to Corpus Christi Lane and the outdoor Stations of the Cross. At the end of the lane, is the Corpus Christi Chapel built in 1905 on the site of the original grotto created by Father DuBois. 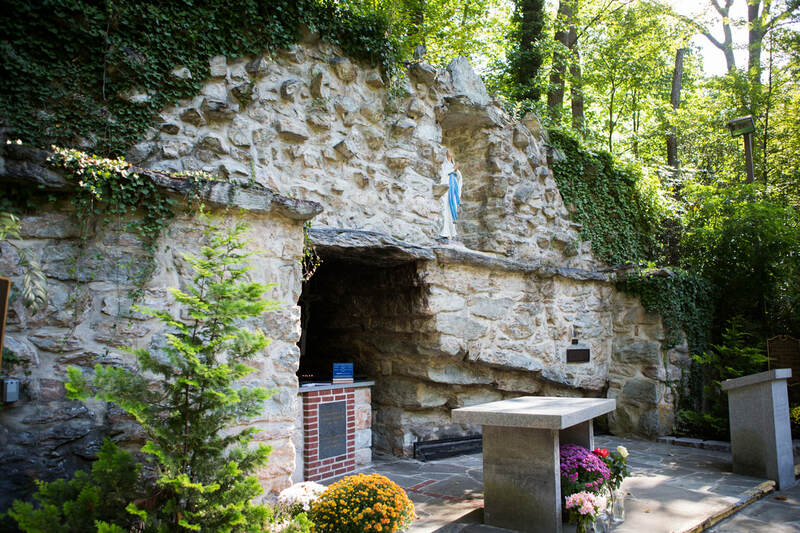 Beyond the chapel is the Grotto of Lourdes Cave, which is a replica of the Grotto of Lourdes in France built by our seminarians in 1875. At the Grotto Cave you can light a candle, sit, pray and mediate. 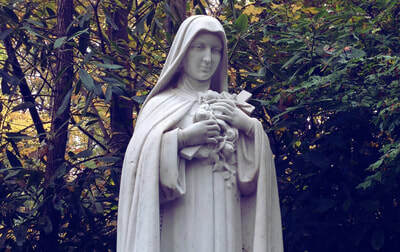 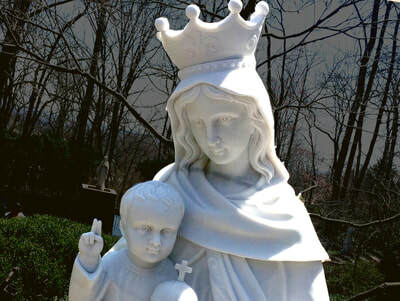 Nearby is a statue of St. Bernadette Soubirous, the young girl from Lourdes who saw the Blessed Virgin 18 times in 1858. 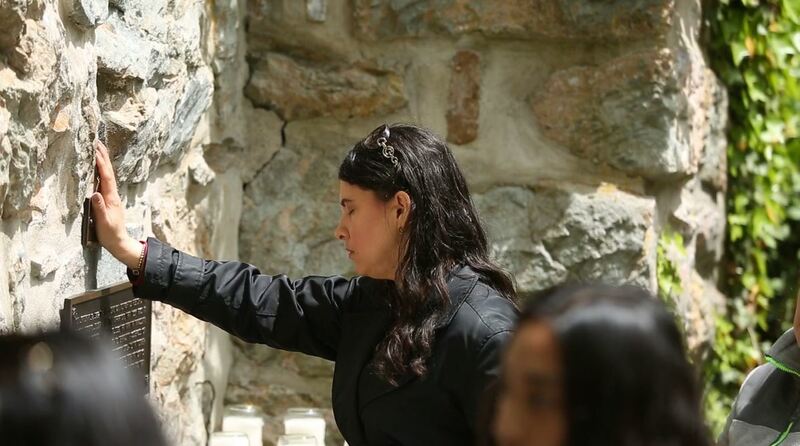 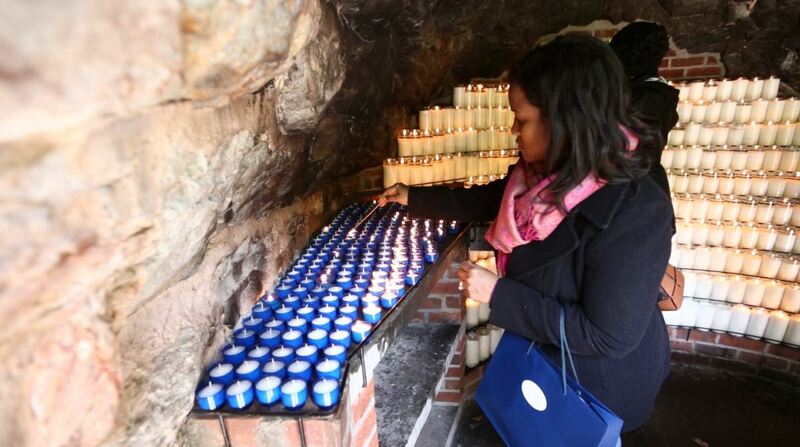 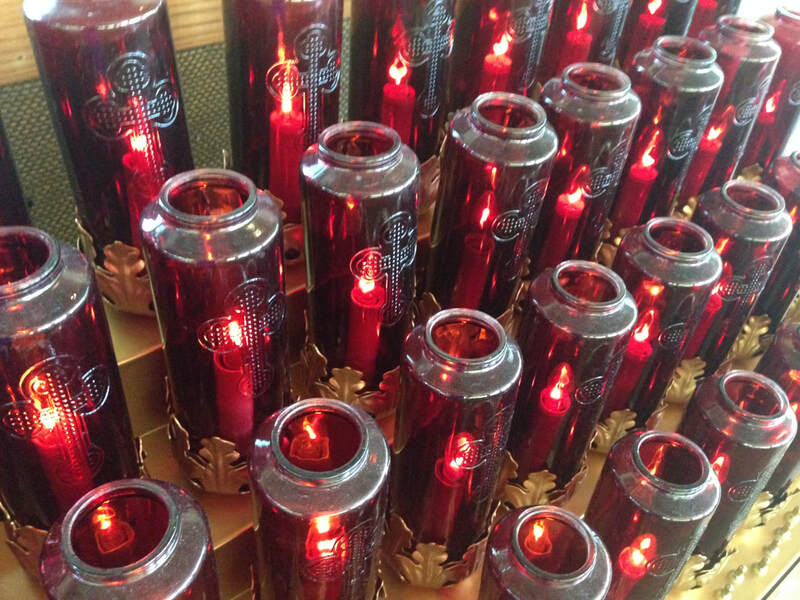 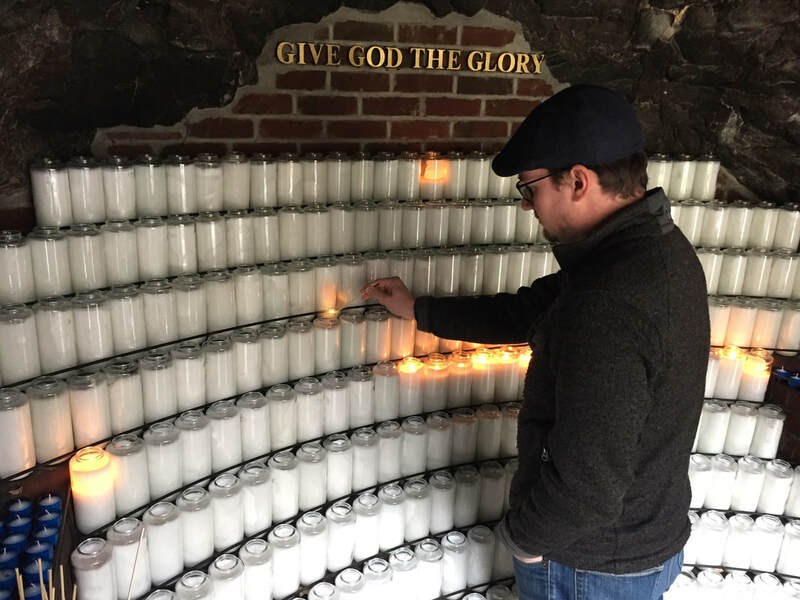 There are many areas throughout the National Shrine Grotto where you may light a devotional candle to remember and pray for a loved one, or any other intentions you may want to offer up. 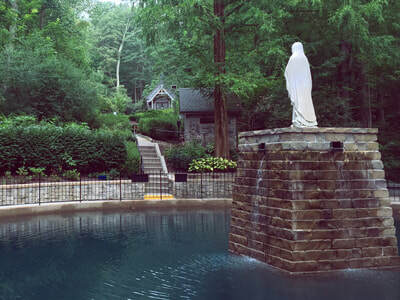 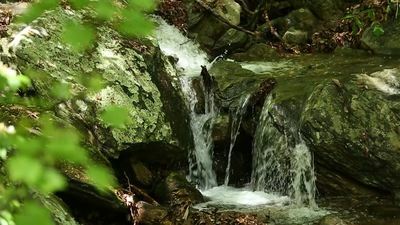 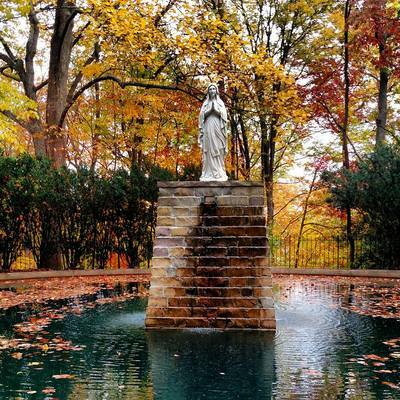 On the return trip from the Grotto Cave, down Rosary Lane, you'll pass a pool of water with a statue of Our Lady of the Esplanade in the center. 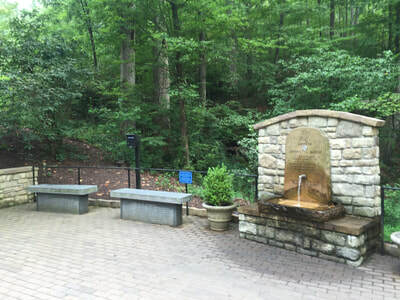 Water flows from taps around the pool, and people can bring their own containers to collect the water. 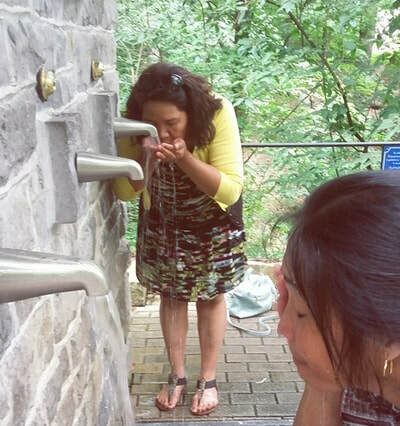 This water, similarly offered at the Grotto of Lourdes in France, shall remind you of Jesus Himself who is life-giving water. 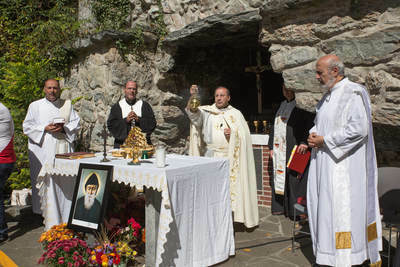 Grotto Chaplains are available to bless the Grotto Water. 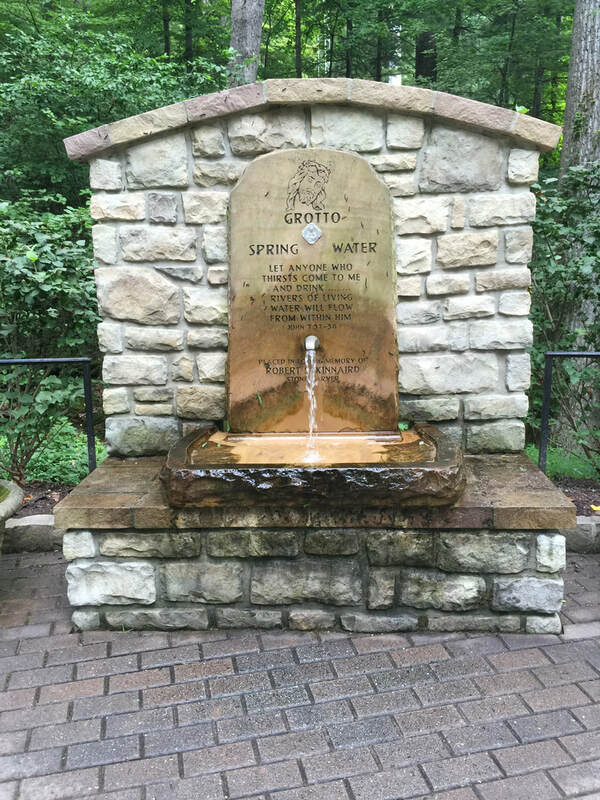 This holy water from the Grotto can be used for blessing of persons, places and objects, or as protection against evil and danger. 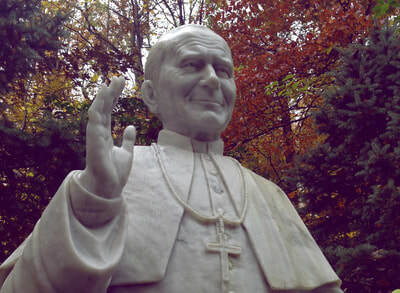 Continuing down Rosary Lane, you'll pass shrines to the 15 mysteries of the rosary, Padre Pio, Our Lady of LaVang, St. John Paul II, St. Faustina, the Holy Family and many more. They are our heavenly helpers! 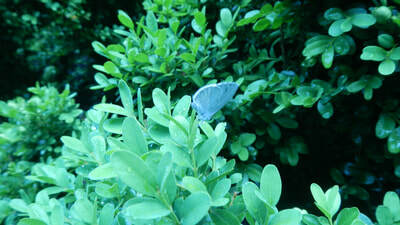 Let us not forget they are here to help us when we call out to them.. 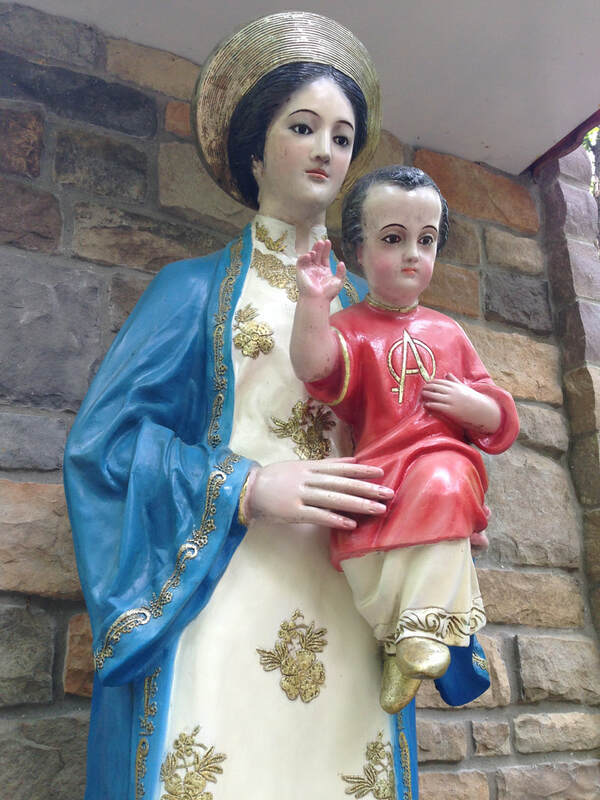 They are our advocates, who cheer us on in our journey towards Christ! 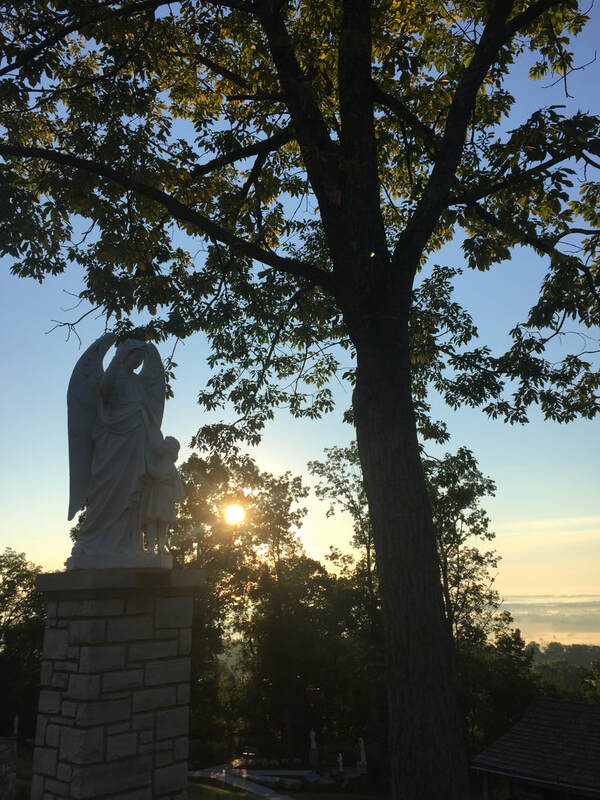 At the end of Rosary Lane is the Chapel of St. Mary's on the Hill, or the Glass Chapel, with panoramic views of the valley. 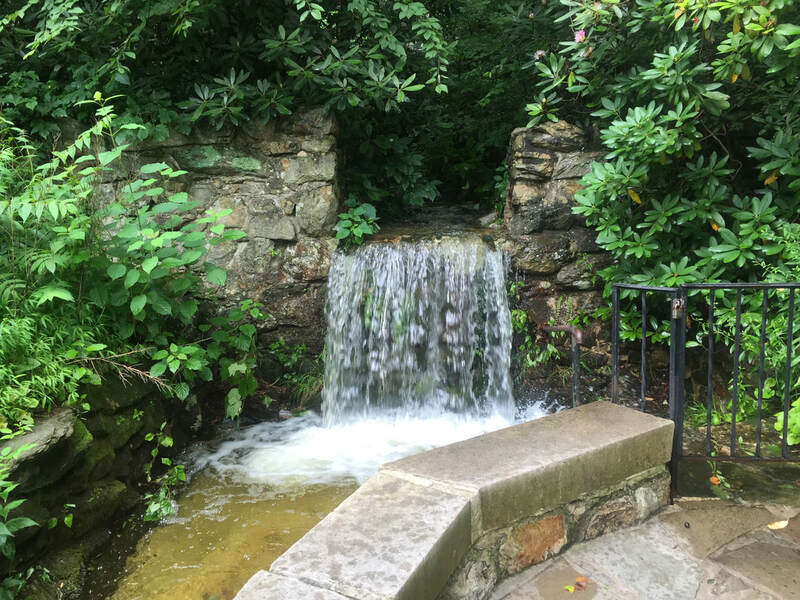 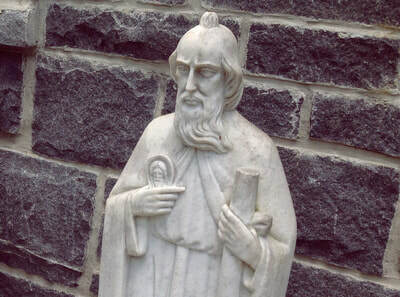 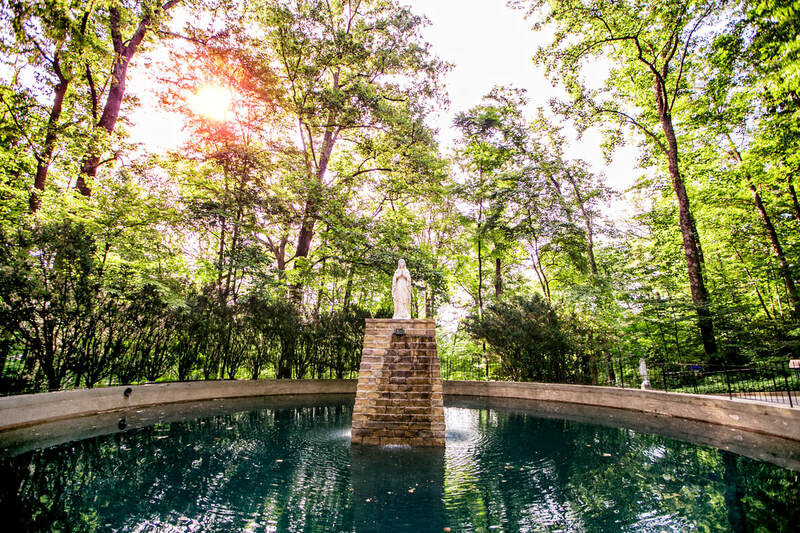 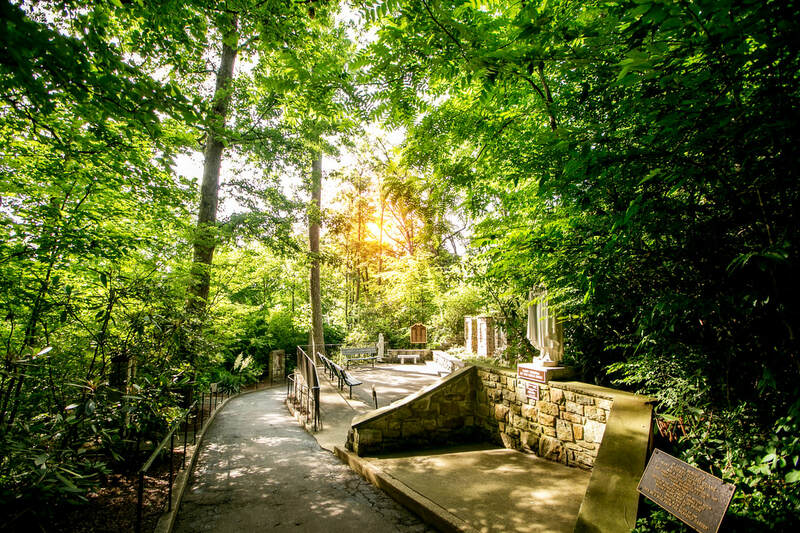 When visiting the National Shrine Grotto, plan on spending at least 45 minutes on the property to view the gardens and shrines of St. Jude, the Virgin of the Poor, Our Lady of Fatima, St. Elizabeth Ann Seton and the Transfiguration of Jesus, to name just a few. 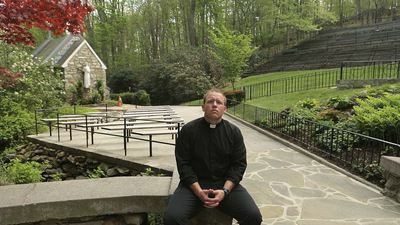 Take time to relax on the benches that are scattered throughout the area for pilgrims to reflect in silent contemplation and prayer.